Abbey Par 3 Golf near Fethard-on-Sea in County Wexford is 40 acres of well groomed parkland. 18 holes with sand bunkers, water hazzards and challenging greens maintained to the highest standard will test your skills. The course is open from dawn to dusk all year. Tea, coffee, light snacks, soft drinks etc. are available in the clubhouse. Clubs, Trollies and Golf Cart available for hire. Golf balls and tees for sale in our clubhouse. Special rates available for societies – with free tea/coffee. We have recently opened our CRAZY GOLF course. The Hook Peninsula theme is very popular already. and many more famous landmarks. Clubs and golf balls supplied. Come and join in the fun for all the family. 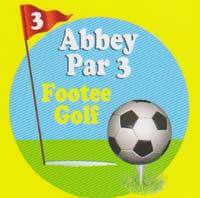 For the non golfer why not try our Footee Golf? No clubs required. 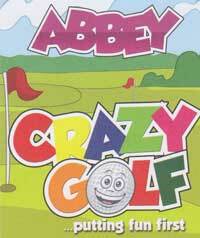 Bring your own footballs or rent one from Abbey Par 3 for €2. 16 holes played on the Par 3 Golf Course – into different holes of course.